We are pleased to bring back one of our favorite internationally acclaimed artists, Robin Bullock! His virtuosity on guitar, cittern and mandolin blends the ancient melodies of the Celtic lands, their vigorous American descendants, and the masterworks of the Baroque and Renaissance eras into one powerful musical vision. The 17th-century harp tunes of legendary Irish bard Turlough O’Carolan, the spirited jigs and reels of rural Ireland, the haunting ballads of the southern Appalachians and the timeless compositions of Bach, Dowland and Francesco da Milano all find a musical common ground in Robin’s music, where lightning-fast fingerwork one moment is perfectly balanced with tender, quiet intimacy the next. 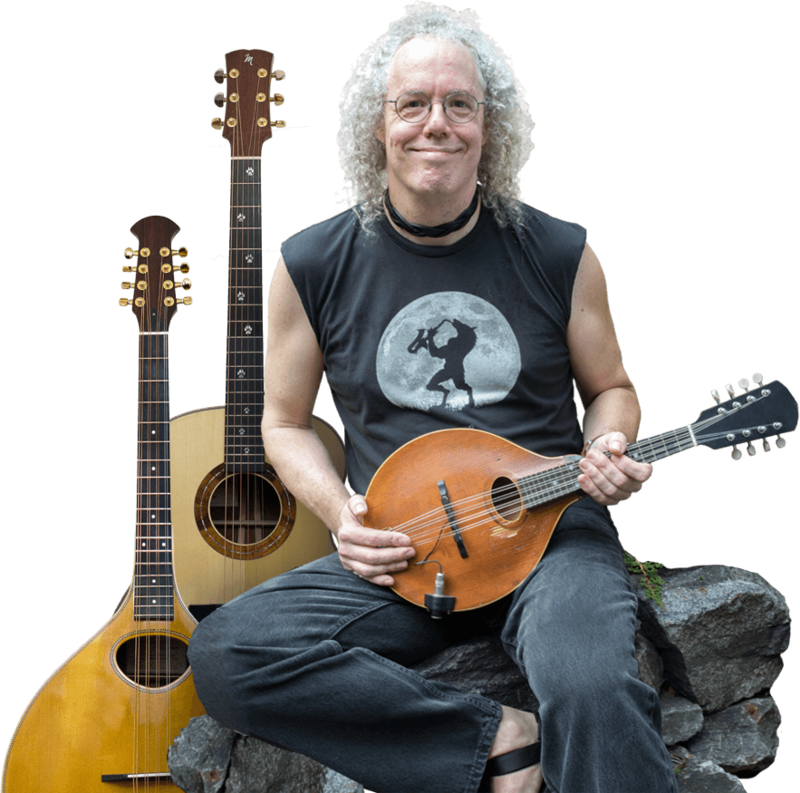 A warm, friendly presence onstage, Robin effortlessly creates a magical world for the audience with his multi-instrumental wizardry, taking them on an unforgettable journey into the deep heart’s core and through the music of the spheres. One of the great things about our Barrel Room is the intimate setting it provides so that you can hear Robin’s mastery down to the most precious singular note!!!! Door opens at 7:00 pm, concert starts at 7:30 pm. DRINKS: Wine, Beer, and non-alcoholic beverages will be available for purchase. FOOD: As there is no food vendor for this concert we recommend eating beforehand. Outside food is allowed in small quantities (think snacks, small plates, or tapas), but please be considerate of other guests- don’t bring smelly or pungent food items. We will also be selling snacks such as cheese, crackers, peanuts, and a wide assortment of locally-made chocolate for dessert during the evening! EVENT POLICIES: No Pets, No Outside Alcohol, No Smoking (anywhere on our property, including our parking lot!). *Barrel Room Concert Etiquette Reminder: This concert will be held in our intimate barrel room and is intended to be a listening experience. The audience is expected to be respectful of the artist’s performance and their listening neighbors, so loud talking and cell phone use is discouraged. 46 available	 Barrel Room Concert - Robin Bullock 5/4/19 $16.00 Ticket is for concert admission only. Beverages and snacks sold separately. Tickets are non-refundable.